My research interests are in ethnohistory, American Indians of the Southeast, American environmental history (particularly in the South), and the American Revolutionary era. I have focused extensively on Choctaw Indian history before the 1830s. My current book project is a study of the 1849 New Orleans flood, the worst flood to hit that city before Hurricane Katrina. My longer-range project is a study of the Seven Years War (French and Indian War) in the South (1750s-1760s) focusing on American Indian diplomatic initiatives and relations between Indians and Europeans. HIS 511A, Seminar in Historical Research and Writing: "American Indian History before 1840"
The Native South: New Histories and Enduring Legacies (University of Nebraska Press, 2017). "The Fly-Fishing Engineer: George T. Dunbar, Jr. and the Conservation Ethic in Antebellum America," in Bryon Borgelt, Samuel Snyder, and Elizabeth Tobey, eds., Backcasts: A Global History of Fly Fishing and Conservation (University of Chicago Press, 2016). "Satire and Politics in the New Orleans Flood of 1849," in Cindy Ermus, ed. Environmental Disaster in the Gulf South: Two Centuries of Catastrophe, Risk, and Resilience. (LSU Press, 2018). 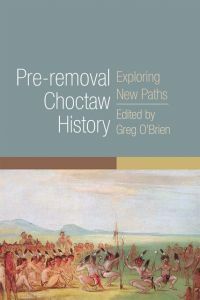 Pre-Removal Choctaw History: Exploring New Paths (University of Oklahoma Press, 2008). Choctaws in a Revolutionary Age, 1750-1830 (University of Nebraska Press, 2002, 2005). 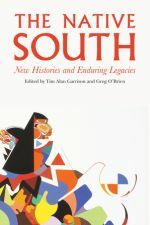 McLemore Prize from the Mississippi Historical Society for the best book published on a Mississippi history topic in 2003. 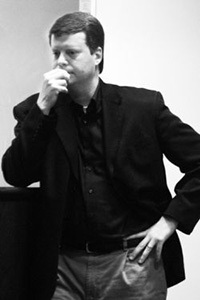 Fletcher M. Green and Charles W. Ramsdell Award for the best article published in the Journal of Southern History during the two-preceding years, 2002.